Cluttons offers exceptional depth of property knowledge from a diverse group of experts, with a focus on delivering commercial results for its clients. 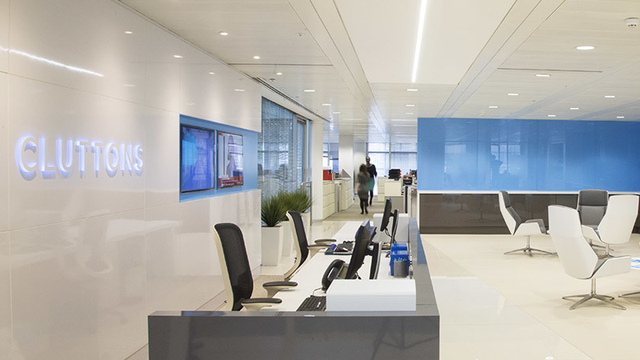 Cluttons employs over 250 people through a network of offices in the UK and international partnerships. The team provides a full range of commercial and residential property services, including asset and investment management; valuation services; infrastructure management and consultancy. Cluttons uses its proprietary portal technology and deep knowledge in sectors such as infrastructure, charities and education to provide clients with unique insights and innovative solutions to help them maximise returns on their assets. The real estate market experienced difficult trading conditions and this downturn in the transactional market combined with the pressure caused by its defined benefit pensions obligations led Cluttons to embark on a search for a partner to support its corporate restructuring and future growth. Rcapital were quickly identified as the only firm that could commit to the complex deal negotiations with the technical restructuring capability and international experience necessary to complete this transaction. Following the transaction, Cluttons entered into a period of significant transformation and restructuring, which has resulted in a profitable business that delivers technical excellence, exceptional service and a strong and flourishing brand for the future. In June 2018, Cluttons sold its Middle East business based in Dubai to Savills. The sale supported a key component in Cluttons’ business strategy, which was to build to a UK focused, independent business that delivered exceptional service to clients in both commercial and residential markets. The success of the financial and strategic transformation has enhanced the business, achieved significant organic growth and strengthened Cluttons position to take advantage of complementary acquisitions to build a service offering for the future.